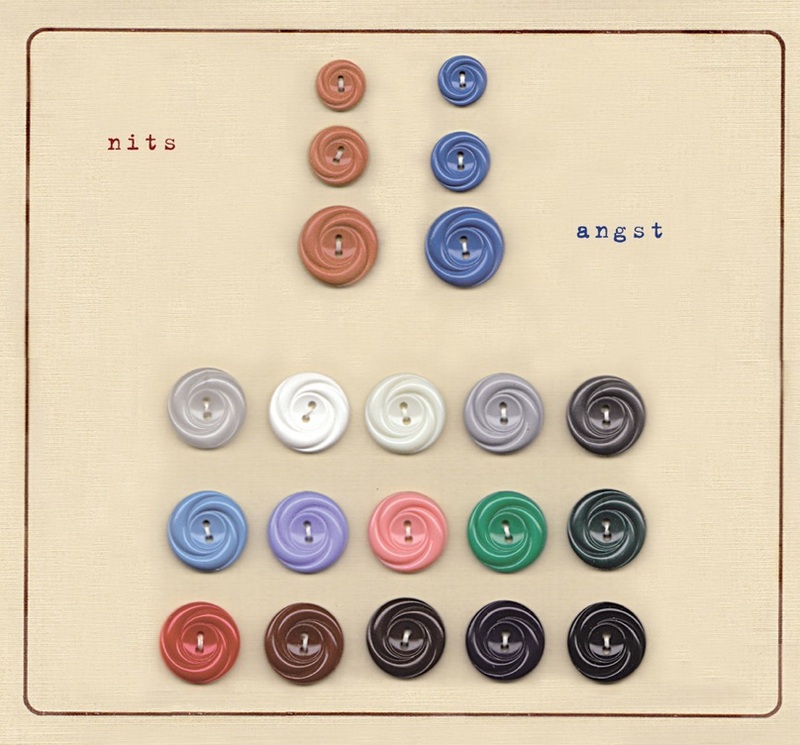 angst is the Nits’ 19th studio album and their first since ‘Malpensa’ in 2012. Yet it’s also the Dutch band’s first-ever concept album, with each song a meticulously crafted cameo evoking the everyday life of the Netherlands’ most traumatic period – the years during and after the German occupation – based on stories told by vocalist/lyricist Henk Hofstede’s parents. This is no mere exercise in social realism, however. Rather, it’s a frequently dreamlike sequence of songs whose lushly detailed arrangements recall the Nits’ heyday – in particular, much-loved albums such as Giant Normal Dwarf (1990) and Ting (1992). And although Henk’s yearning vocals are, as ever, centre stage, both keyboard player Robert Jan Stips and percussionist Rob Kloet are at their peak, adding constantly surprising colours and texture. With angst, Nits prove themselves once again to be that rarest of creatures: a veteran band in their fifth decade whose creativity remains undimmed. Now in their fifth decade, the Nits have pretty much torn up the rulebook by releasing an album in ‘angst’ that ranks alongside the very best of their previous 18 full-length studio recordings. This will be no great surprise to long-term fans who have seen the band repeatedly reinvent themselves. Yet it’s hard to think of anyone else who made their first album in the mid-70s and isn’t by now either touring on the strength of their greatest hits or desperately trying to crank out new songs designed only to perpetuate the brand. There seems little doubt that were they not so geographically challenged, the Nits would now be one of the world’s most widely respected bands - at least on a par with smart-as-a-whip types like XTC and Prefab Sprout. But the Nits come from the Netherlands. And furthermore, the occasional visit to the US, Canada and the UK aside, they quickly made it clear that their only concession to the world beyond mainland Europe would be to sing in English. That aside, anyone wanting them to tailor their unique brand of art-pop to the demands of a broader audience could go hang. In particular, the band have often delighted in making their latest album sound as little like the last as possible - a marketing man's nightmare. This has simultaneously guaranteed them a modest degree of success across Europe, where loyal fans appreciate their fierce integrity and commitment to playing more intimate venues, and denied a lot of people in Britain and America some wonderfully inventive - and very accessible - music. Formed in Amsterdam in 1974, the band initially consisted of Henk Hofstede (vocals, guitar, keyboards) Rob Kloet (drums), Michiel Peters (guitar, vocals), and Alex Roelofs (bass), and it was this line-up that recorded the independently released single "Yes or No" in 1975 and their eponymous debut album in 1978. On this and the next three albums – ‘Tent’ (1979), ‘New Flat’ (1980), and ‘Work’ (1981) – the Nits carved themselves a slice of the post-punk new wave action that spawned bands like XTC and Talking Heads, albeit with a more keyboard-based sound. Indeed, Hofstede has conceded that both were big influences on the band in those early days, along with the literary approach of Leonard Cohen. Yet for many listeners – and certainly for Hofstede himself – the 1983 album ‘Omsk’ represented a major turning point for the band. Where before the band's reluctance to conform had often resulted in a slightly self-conscious quirkiness, the new songs blossomed into something with genuine depth, distinctiveness, warmth and – above all – melody. Something moreover that drew as much on European traditions like chanson and musical theatre as it did on British and American pop. It was also no accident that the album marked the arrival of keyboard player Robert Jan Stips. Having previously worked with the band as a producer, the one-time Golden Earring and Supersister member gave the Nits a whole new orchestral dimension with his rich array of individually tailored samples. ‘Omsk’ and the mini-album that followed it six months later – ‘Kilo’ - also established Hofstede as an expressively gifted singer. Most listeners instantly pick up on his voice's Lennon-ish edge, but there's also a touch of Elvis Costello - without the ever-looming threat of a sneer - in the way Hofstede nails a beautiful ballad like "Dapper Street" or "Mask". He's also a powerful frontman, simultaneously charismatic and affable. In the years that followed ‘Omsk’, the Nits seemed to embark on a mission never to retrace their own musical footsteps. ‘Adieu, Sweet Bahnhof’ in 1984, helmed by Stars on 45 producer Jaap Egermont, was the closest they ever came to courting commercial success, and includes two of their most memorable songs in "Mask" and the title track - a wistful waltz whose melody once heard is never forgotten. ‘Henk’ followed in 1986, an album whose heavy reliance on sampled sounds and surrealistic songs like "Port of Amsterdam" and "Bike in Head" contrasted sharply with both its glossy predecessor and the frequently dreamlike, live-in-the-studio 1987 album ‘In the Dutch Mountains’, whose title track gave the band its biggest hit to date. The album also secured a release in the UK and a four-star review in Q magazine, but aside from picking up a few lifelong fans (Nits fans appear to be less fickle than most) it did little to advance their global cause. A live double album ‘Urk’ capitalised on the band’s progress to date in 1989 with a programme that neatly encapsulated the previous decade. That in turn was followed in 1990 by the kaleidoscopic ‘Giant Normal Dwarf’, conceived by Hofstede as a kind of fairy-tale for his new-born child, but sounding more than anything like a joyous expedition to the candy-striped psychedelia of "I Am the Walrus" and "Glass Onion". Most regard it as a high watermark for the band. In 1992, the equally well-regarded, Philip Glass-flavoured ‘Ting’ was a more stripped-back affair, with Stips' piano the dominant sound, and later that year the Nits recorded ‘Hjuvi’ with a full symphony orchestra. Mostly composed by Stips, the album mixed songs with instrumental compositions in the style of composers ranging from Satie to the Gershwins. ‘Da Da Da’ followed in 1994, even securing a release in the US and UK, though as with ‘Dutch Mountains’, Sony had no idea how to promote it. By this point, the Nits were reduced to a three-piece, with Alex Roelofs having bailed out in 1981 and Michiel Peters following in 1985. And though subsequently they were sometimes augmented by other musicians, a trio they would remain until 1996 when Stips also departed to form his own band, Stips’ Egotrip, leaving only founding members Hofstede and Rob Kloet. At this point it's worth noting Kloet's important contribution to the band. No mere time-keeper, he's a master of economy - the polar opposite of a showman like Keith Moon - whose always carefully considered interjections keep the bombast and rhetoric of rock at bay while applying the very sleekest forward thrust. He’s less a drummer, more a percussionist in the orchestral sense, with a great love of exotic sounds and an apparent dread of doing the obvious. He's rarely heard simply laying down an off-the-shelf rock rhythm, and it's significant that he always gets a co-composer credit. For all its diminished cast, Hofstede nevertheless ensured the 1997 album ‘Alankomaat’ still boasted the kind of lush textures that had become the band’s hallmark by focusing much more heavily than usual on his own role as a keyboard player. Similarly, on 2000’s ‘Wool’, he drafted in a string sextet, a jazz trumpeter and various soulful backing singers to compensate for the Stips-shaped hole in the band's sound. After a six-year absence, however, Stips returned for the 2003 album ‘1974’ and has remained ever since. Though the title refers to the band's year of formation, it nevertheless contained little that might be described as backward-looking. In fact, after the somewhat subdued and tightly arranged music of ‘Alankomaat’ and ‘Wool’, it represented a return to a more playful and spontaneous style. This followed a remarkable Hofstede solo album - comprising songs written for a video installation – called ‘Het Draagbaare Huis’ (‘The Portable House’), a rare excursion into the Dutch language and one of the most remarkable recordings in the Nits’ catalogue. If ‘1974’ left some fans wondering whether the Nits’ seemingly inexhaustible supply of inspiration might finally be petering out, all such doubts were banished by 2005’s magical ‘Les Nuits’. At its heart was a moving trilogy of songs inspired by the appalling assassination of outspoken filmmaker Theo Van Gogh in the street near lead singer Henk Hofstede's Amsterdam home. Yet again, the Nits seemed re-energised and back to their very best. Typically, they chose to follow one of their most meticulously crafted records in 2007 with one of their loosest. ‘Doing the Dishes’ is by far the Nits’ most rustic album, seemingly written and bashed out in the studio with scant regard for the kind of detail with which they’re usually associated. There are those who regard it as a refreshing blast of unpretentious simplicity, and indeed it reached number 8 in the Dutch top 10. But many fans felt this kind of thing was better left to other bands. As the title suggests, 2009’s ‘Strawberry Wood’ found the band embracing their inner Beatles – always a potent influence, if only for the Fabs’ matchless ability to shapeshift. It was certainly a more fully realised and more subdued affair than its predecessor, yet for all its quirky charm it again suggested a band whose formidable reserves of inspiration might finally be starting to expire. Following in 2012, ‘Malpensa’ was a partial return to form, with a particular highlight being the near 8-minute “Bad Government and Its Effects On Town and Country”, a remarkable collaboration with the young hip-hop artist and trumpeter Colin Benders of Kyteman, which afforded both Stips and Kloet a rare opportunity to stretch out. In the years that followed, it seemed that the Nits were finally starting to be regarded as a heritage act. A career-spanning 3-CD compilation was released in 2014, followed by a double live set ‘Hotel Europa’. What might have seemed like the crowning glory of an illustrious career came the same year, when the band were astonished and delighted to be made Knights of the Order of Orange Nassau by the Mayor of Amsterdam. Another great tribute followed in 2016 when Scapino Ballet Rotterdam celebrated its 70th anniversary by building a hugely elaborate show called TING! around many of the Nits’ greatest songs. Even more surprising then that, so late in their career, this ‘heritage band’ had it in them to produce one more masterpiece in the form of ‘angst’. Perhaps re-energised by so much adulation, this was the band seemingly recapturing the joy of building every song from top to bottom without recourse to precedent, dispensing with the obvious at every stage, and all in the service of some of their most sumptuous melodies. These, let us remember, are the very qualities that most established bands lose early on, as routine, commercial formula or simply diminishing powers of creativity take their toll. You don’t expect musicians in their mid-60s to be still capable of generating surprise at such an elevated level. In their 40-odd years of existence, the Nits have carved themselves a substantial niche in the cultural life of the Netherlands, and won passionate admirers across Europe and beyond. Around the time of ‘In the Dutch Mountains’, it seemed as though international renown, if not stardom, could have been theirs for the taking. Yet in the grand scheme of things they remain one of rock's best-kept secrets. And you suspect they wouldn't have it any other way.